The recent spate of US and European hotel acquisitions by Chinese interests has the hospitality industry abuzz. From Anbang Insurance’s 2015 purchase of Manhattan’s landmark Waldorf Astoria to the more recent acquisition of Strategic Hotels, Chinese money is pouring into the industry. Anbang’s recent offer for the Starwood hotel conglomerate caused concern, and it would not be surprising were the company to make a new offer attempting to beat out Marriott’s last counter. With so much foreign investment at play and so many deals clearing at record value marks, US hotel interests are right to be examining the value propositions involved. What could possibly be wrong with taking the highest available bid for your property? 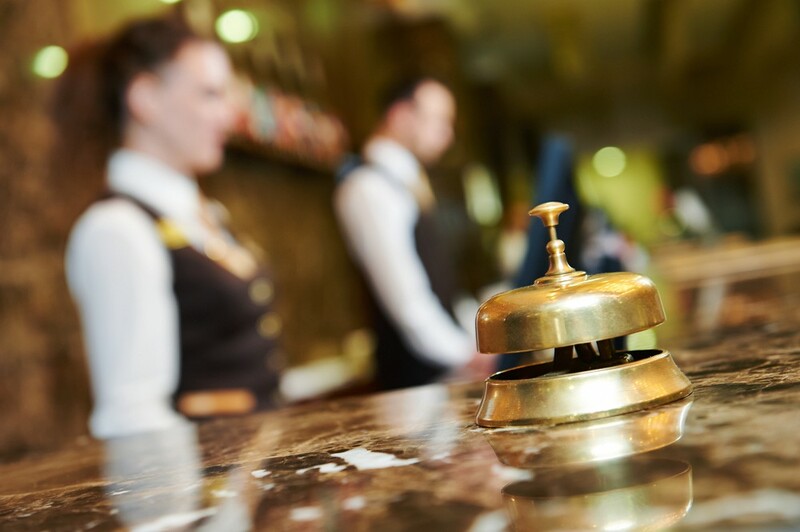 The underlying reason for these acquisitions, and for the sheer volume of record-breaking offers, goes beyond basic investment and threatens hotel revenue. Before we look further at that statement, I will explain why the Chinese are willing to pay so much and where the money is coming from, ending with an outline of why selling to a major Chinese buyer might be the worst management decision you ever make. For the past few years, Chinese buyers have been acquiring foreign interests of all kinds at a breakneck pace. 2016 is already a record-breaking year for Chinese acquisitions abroad, with outbound Chinese M&A activity sitting at 102 deals worth $81.6 billion this year alone. This kind of foreign acquisition points to a very weak domestic economy in China, with market fundamentals highly unstable and physical capital investments unreliable at best. So, the big Chinese groups you see making purchases around the world at a record pace are all owned and funded (often with fake value) by the Chinese government. This should start to make sense. This is how Anbang Insurance, formerly a small-scale insurer in rural China, suddenly began making multibillion-dollar purchases seemingly overnight. So also goes Fosun International (Fosun Group), Dalian Wanda (Wanda Group), and myriad other large interests, some of which would normally have no business investing in the hospitality industry in the first place. You’re probably thinking, “So far, so good. The Chinese economy is unstable, and the entire country wants to buy something valuable overseas, which means big hotel deals.” So why is this a problem for the hotel industry? The problem is not the money itself, but its origin. These companies are run by the government of the People’s Republic of China (PRC). This means exactly what it sounds like. Do not forget that at the end of the day, China is a Communist totalitarian nation. This means that these companies are the Chinese Communist Party (CCP). Each company has an internal board for “Party oversight.” Each is held responsible for promoting the Party’s interests abroad. Each invests the massive quantities of money given them by the government of the PRC to expand China’s stability, reach, and power, as a nation. The implications of this inconvenient truth for the hospitality industry are tantamount. This is far more important than the risk of industry over-consolidation. As an entity now owned by the government of China, any hotel acquired by these large Chinese interests becomes immediately unsafe for sensitive meetings; and every well-informed government staffer and C-level executive knows it. These hotels become unacceptable for top-level meetups among the most successful — and for a hotel, the most high-value — customers. Since, for obvious reasons, this issue isn’t publicly discussed, I will offer some anecdotal evidence. Here at SNS, we hosted our annual Predictions Dinner in New York at the Waldorf Astoria for many years, for world leaders in technology and global economics. What better choice than a landmark hotel with a history of political and private-sector caché, offering event hosting with excellent service? We were extremely happy with the Waldorf. After Anbang acquired the hotel last year, we immediately had to switch venues. There was no question, no hesitation, and no choice. One cannot bring high-level officials and executives into sensitive meetings where intellectual property is discussed, in a hotel owned by the biggest (State-sponsored) thief on the planet. If one of the greatest worries of informed executives traveling on business is that the Chinese government has hacked their hotel network to steal trade secrets from hotel guests (and it is), is it acceptable to stay in a Chinese-owned venue in the US? Of course not. Will there be bugs imbedded in every wall, every desk, every chair? Probably. Is half the staff eavesdropping? Possibly. Is the network secure? Absolutely not. This may sound like the paranoia of someone who spends too much time in the security world, but I have bad news: This is exactly what every major company with something valuable to discuss will be thinking. Just as SNS did, any sane executive will move post-haste out of a hotel owned by a Communist government with a proven interest in stealing sensitive information. A few months after the Waldorf acquisition and our sudden venue change, President Barack Obama relocated meetings previously destined to be held at the hotel, for the same reason. The Waldorf Astoria is now losing business fast, and that business isn’t coming back. If government officials and business executives are the kind of people you wish to have as customers, you do not want your hotel to be owned by the Chinese. As you are aware, the recent spree of Chinese-US hospitality industry acquisitions now includes landmark hotels across the country, from the Waldorf to the Ritz Carlton Half Moon Bay, the Fairmont Chicago to San Francisco’s Westin St. Francis. We have hosted our annual 200-person, four-day Future in Review (FiRe) conference multiple years at both San Diego’s Hotel Del Coronado and the Montage Laguna Beach, and would have happily returned had it made sense to do so. Now we never will; both were recently acquired by Chinese interests. For some of you this will be good news. Major hotels across the country (and the West Coast in particular, with the purchase of Strategic Hotels) are now shut to informed execs. This will mean a lot of shuffling of event hosting, and where there is shuffling, there is opportunity. For others which have already been sold out, this will be very bad news indeed. The rising PRC has created an entirely novel dynamic in the M&A world. In the hospitality industry, this dynamic is a perilous one. To your success, and wishing you good choices and good luck. Please feel free to contact me directly if you would like to learn more about the Strategic News Service, FiRe, or INVNT/IP (our intellectual property protection branch).